Red Sox Destinations headed north of the border in June for a match-up against the Toronto Blue Jays. The Red Sox came off a sweep of the Yankees in New York and looked to continue their momentum through their road trip.Red Sox Destinations provided a group of Red Sox fans with the ultimate road trip experience to Toronto. The group sat in great infield level seats for two games and had accommodations at the Renaissance Toronto Downtown, which is located inside the Blue Jays stadium! 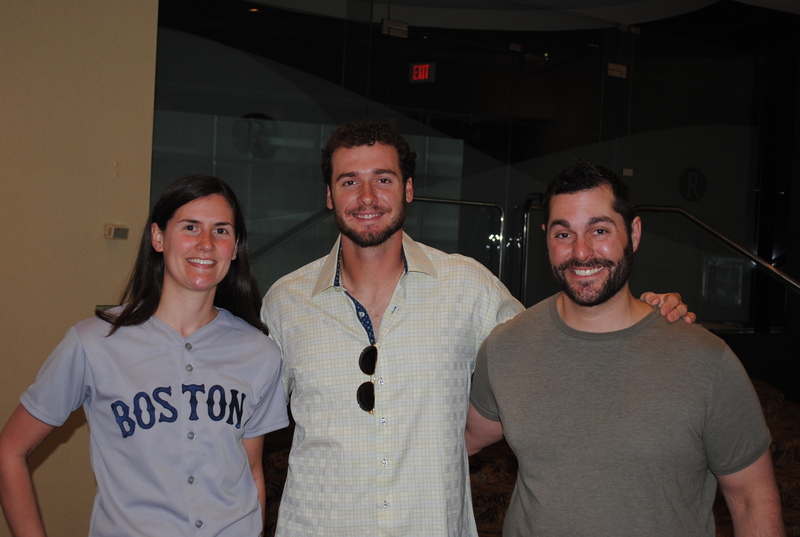 Aside from the games, Destinations fans also took a private tour of the Rogers Centre and had a VIP reception where they got to meet Jarrod Saltalamacchia! 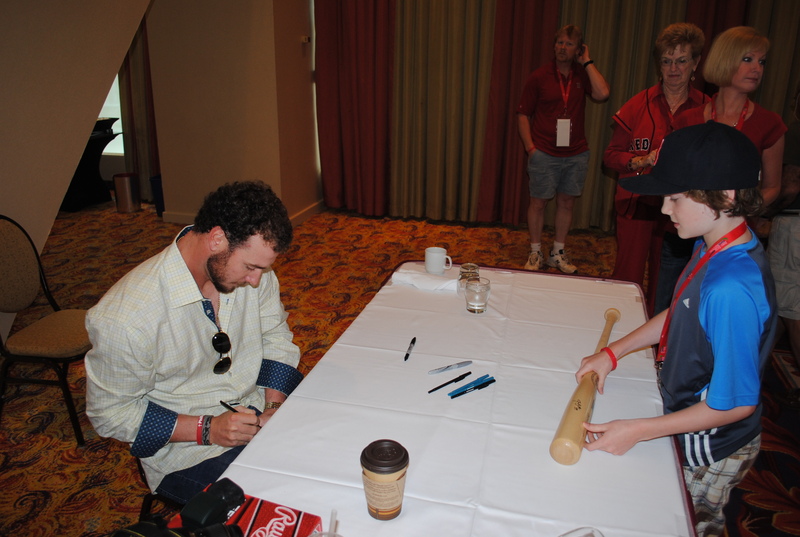 Jarrod signed autographs, posed for photos and fielded questions from the group. Fans were excited to hear Jarrod’s stories about being in the major leagues and about his role as the Red Sox starting catcher. Check out a few of the photos below. Red Sox Destinations fans were delighted to witness the Red Sox sweep the Blue Jays that series. The team scored an overwhelming number of runs during the weekend, which provided plenty of opportunity for fans to support their Sox on the road!